School holidays start here in a few days. I love school holidays. I love the lack of routine, I love not making lunch boxes, I love staying in my pyjamas until lunchtime. But there are days when the kids get bored and start aggravating each other, so it’s always good to have a few ideas up your sleeve to distract them. I received this blog update from the Planning with kids blog, http://us1.campaign-archive2.com/?u=debed5e054ba688a213145bbb&id=f3c5a4a3c8&e=829d7cccab where she talks about things that work for her. I like her idea of each child picking one free activity and one paid (but inexpensive) activity. Things that we try to schedule into our holidays are play dates with cousins that the kids don’t get to see much during the school term. We try to go to different parks, weather permitting. There are some great parks around, wherever you live! Google parks or playgrounds in surrounding areas to your house. I know we have a few great ones a couple of suburbs away that we try to get to. I also try to find ones near a café so that I can buy myself a coffee 😉 But always try to pack snacks or lunch for the kids. Since the kids have started school, we don’t seem to do as many craft activities as we used to. During the holidays, I like to put a disposable table cloth down over the kitchen table, load it with whatever is in the craft box (or going to a cheap $2 shop and grabbing some bits and pieces, like glitter and foil confetti), or just look around the house, what are you planning on throwing away? Can the kids use it for construction craft? It’s a good idea to load up on sticky tape before the holidays too! This kind of messier craft happens usually only on one day (but if they really enjoy it, I’ll do it more if they want). Then at the end of the day, I salvage what can go back into the craft box, and the rest gets emptied into the bin, then the table cloth gets folded up and used again next holidays if it’s not too messy. Getting a roll of butchers paper is also a handy holiday item to have on hand. 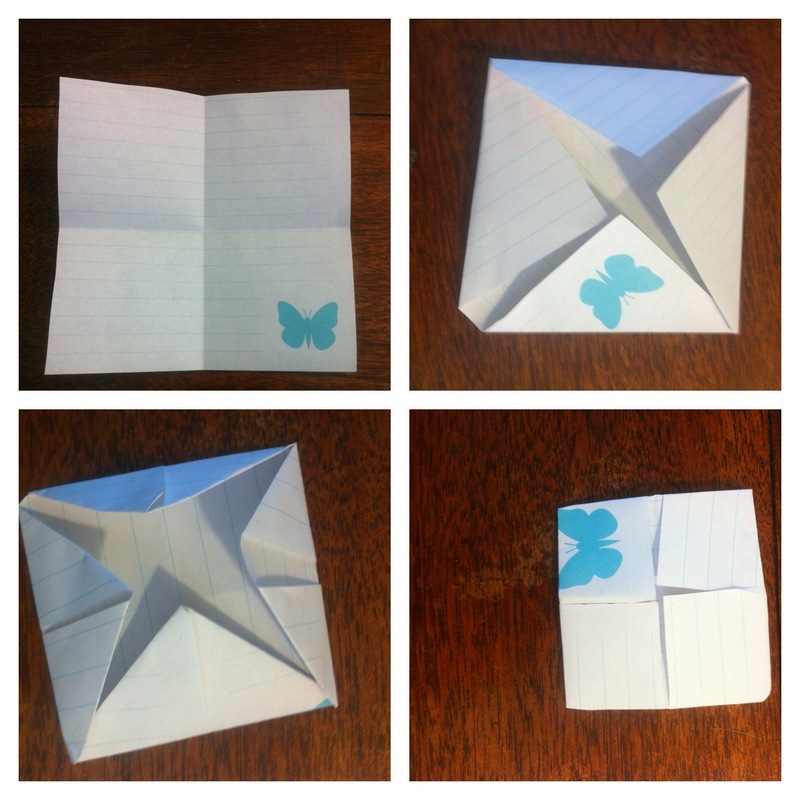 Get the kids to lie on the paper and trace their shape. Then, they can cut it out (or you could) and they can decorate their bodies. My kids loved this when we did it. If you can’t get hold of a roll of paper, try tracing hands and feet and seeing what they can turn the shapes into. You know when your kids get birthday presents that are craft activities, but you haven’t had a chance to open them up to do the activity? Winter holidays are a great time to pull all these out! We have a pile of origami packs, sticker mosaics, and other plaster, set and paint type of activities that I have put aside , which will get used these holidays. 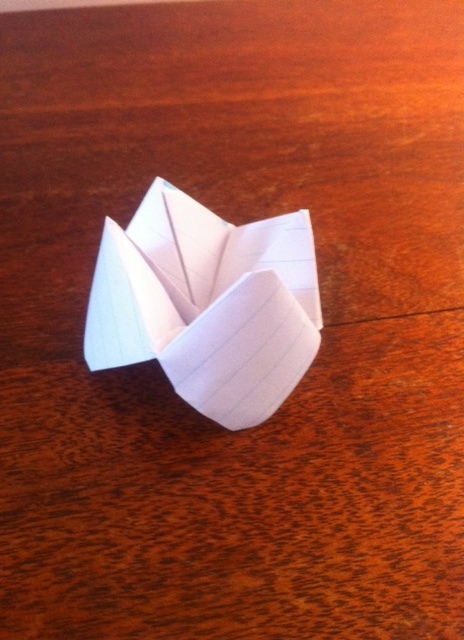 Who remembers chatterboxes? My kids love making these. We make teeny tiny ones and giant ones. The only rule I have is keep the comments nice. Here’s a photo to remind you of a few steps. If you really can’t remember, try youtube for a video demo. I looked into putting my kids into a cooking class last lot of school holidays, but it was quite expensive, and I’ve got to say, I didn’t really like what they were making. I am a bit of a control freak in my kitchen, and I get overwhelmed having all the kids in there with me. But lately I’ve been asking one child at a time to come and help with bits and pieces. It’s been nice having that one on one time with the kids, and they get a kick out of being involved in the dinner (or whatever) making process. These holidays, I was thinking of coming up with a couple of recipes that they could put together themselves. Our local cinema has cheap movie sessions for the school holidays, so we always try to see a movie at the cinema. Although it is winter holidays, another cheap activity is the local pools. It’s warm inside, and it’s a great activity that wears them out – just be prepared with snacks as they are always hungry after a swim! Hopefully some of these ideas help keep the kids entertained these holidays. What do you do with your kids during the holidays that they enjoy? This entry was posted in Blog, Organising the Chaos. Bookmark the permalink.